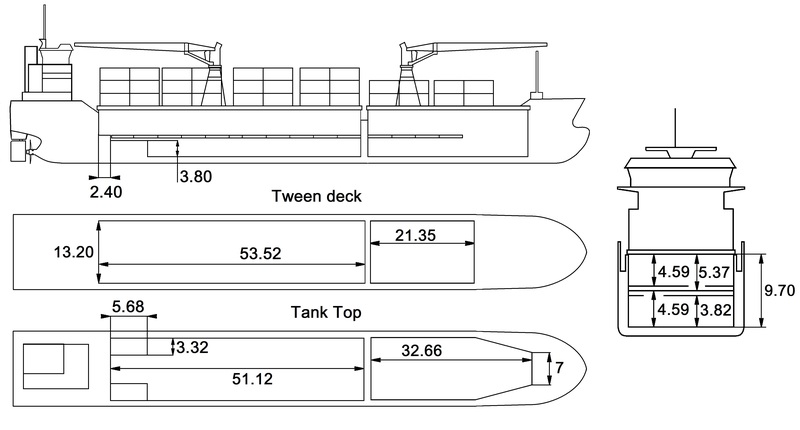 The vessel specifications contained in this data sheet have been compiled to the best of Onego Shipping and Chartering B.V. knowledge. However, all specifications contained in this data sheet only describe “about” data and therefore cannot be considered as guaranteed specification of the respective vessel. 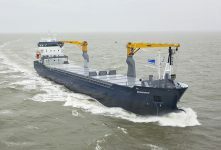 Speed and consumption figures may vary from the data contained in this data sheet and are dependent on weather and sea conditions, the loaded cargo and the quality of the bunker on board. The loading and lifting capacities of the vessels are subject to the vessel’s stability, trim, permissible weights, regulations of visibility and might depend on the cargo and/or ballast on board. None of the details set out in this data sheet shall be part of charterparties or other agreements between Onego Shipping and Chartering B.V., including its affiliates, and any third party.